Guys.. 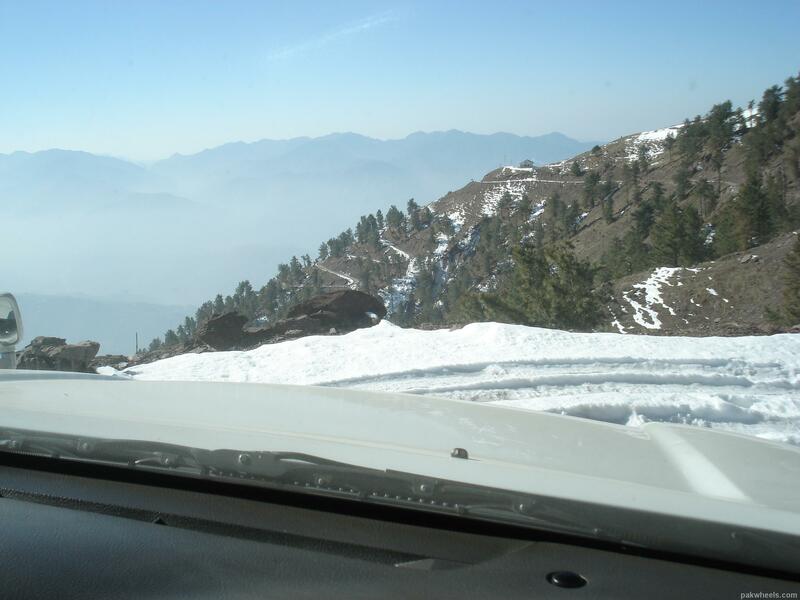 Went on my Prado TZ V6 petrol all the way from Hyderabad Sindh to the extream Norths- Kashmir and Gilgit agerncy ! 16400 feet above sea level- no track no road- all extream offroading to a unknown destination somewhere near Nultur in search of a ski point my father used to ski when he was training for a snow survival course back in 1975 in pakistan Air Force... we were astrayed and in confusion went on and on with my family alone on prado with no track all snow high till we reached the peak top of the mountain.. we were alone my father, me, my mother and sister and no other vehicle to assist..
Miracalusly , we made our way after 7 hours of extream adventure to the ski point... here are some of the pics took.... if there was another vehicle to accompany and to take pics and video while i was driving--- it would have been great to share with you all.. 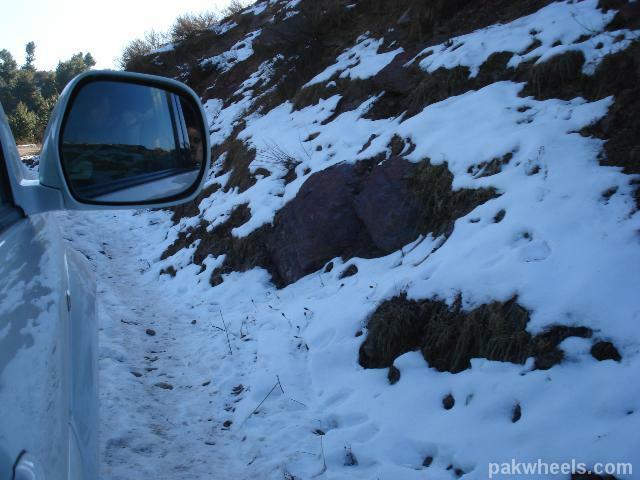 The pics you have posted are of Pir Chanasi (Muzaffarabad), I can imagine the the road condition after snow . You must be a very Good driver and a very Lucky person as I saw many 4x4's powerfull then Prodo failing on this track in winter/snow season. Keep tracking and good luck. Yes exactly Adnan... its the pictures i am able to upload are of the Peak top of Pir Chanasi.... 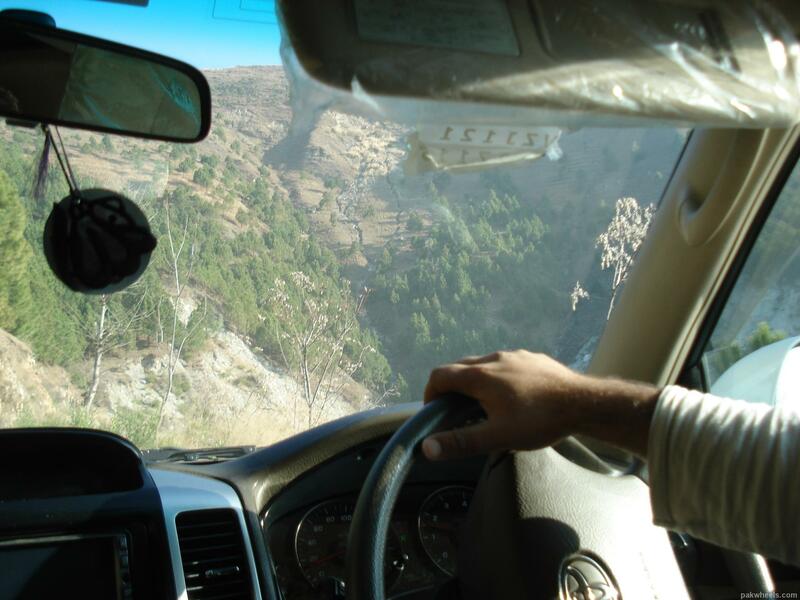 The Naltar Pics Are even more adventurous.... Have you been to Pir Chanasi... and further to the LOC..after it to the next hill..
Now that is known as "Toyota=Benchmark of Reliability"
Yes remove pics of ur family. yaar very nice.... mera to dil kargaya k bas nikal parun! I have been tracking Pir Chanasi since 1991 when there was no ROAD, some sections of this raod never see sun light and snow there becomes hard and slipery like glass, I can see fresh snow on your track which helped your in getting some grip. Great.. I hope there are more pictures that you can post. Also.. 16400 ft? Thats 1000ft above the hieght of the Khunjrab Pass.. !!! Are you sure the altimeter is working ok? Any pictures at the point where your altimeter showed 16400 ft? 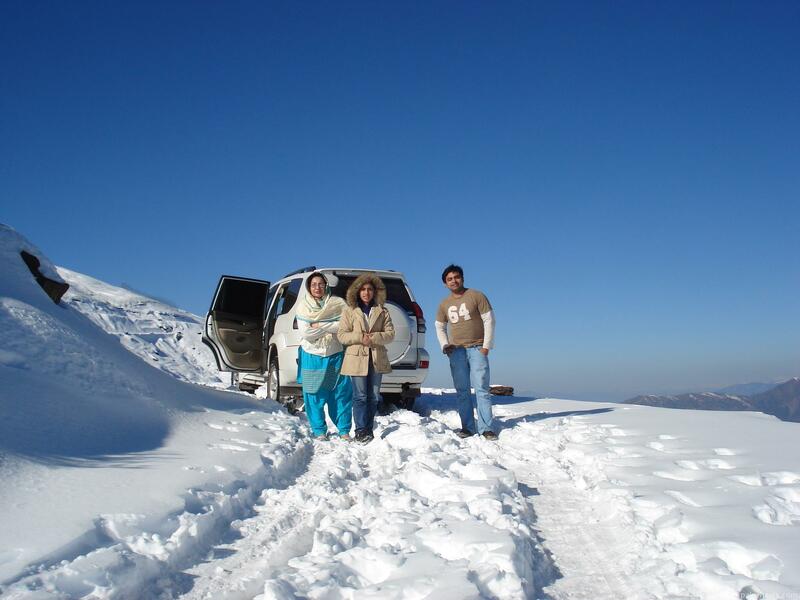 The last pic you added is of Pir Chansi Muzaffarabad too, height climbs from 9500-9800 feet. Excellent adventure Dawar, must be one hell of a trip. I have climbed to 17,000 feet and know that it gets really hard to breathe starting from 15,000 feet onwards due to decrease in oxygen. furthermore, i understand that you need a specially mixed fuel for high altitudes which is capable of producing a spark at low oxygen levels. thumbs up to you and your family. must be a great adventure.